Testimony – Healing of Infertility & Placenta Previa! Nikki Shares her testimony of how she experienced healing of secondary infertility caused by non-ovulatory cycles. She also shares healing from Placenta Previa where her placenta was relocated from being implanted in her cervix to the TOP of her uterus! If you are struggling to have children or know of others who are struggling I want to direct you to the testimony pages of two of my web sites. You will find testimonies of victories of many different complications preventing conception or the full duration of the pregnancy. If you would like to add your own testimony to encourage others email me! I have created a New Page on this blog to list some Powerful Fertility Related Resources to help you in your journey. They have been created to help you to cross the line and walk in victory over barrenness – in every area of your life! Visit: https://faithandfertility.com/resources/ for more information! My Testimony – Husband Healed from Sterility! Here are my 4 miracle children. To Shaun (my husband) and I, this Scripture is not simply words on a page but living truth. Faith in that promise has meant that our children Kaitlin, Aidan, Aaron and Jesse could be born into the world. It is the power of God’s Word of truth that brought about what man declared an impossibility. In January 1994, after several medical tests and examinations Shaun was diagnosed as being sterile. The tests concluded that he had a nonexistent sperm count and he was told that it was medically impossible for him to father a child. The only option offered to us was to have a child using sperm donation. But Shaun made a decision to reject the diagnosis because he knew it was God’s will for us to have our own biological children. When Shaun came home and shared the diagnosis with me, at first I was devastated. All my hopes and dreams of becoming a mother were shattered. All I could hear in my mind were the words of the doctor that it was ‘medically impossible for us to have a child of our own.’ Shaun’s body needed physical healing and my mindset and faith in God needed healing. I had often prayed in the past for healing from colds and sore throats and I would be healed. That seemed easy for me. But at first I couldn’t fathom the miracle that Shaun needed. In order for me to believe for our child I had to renew my mind with the Word of God. Back then I had no idea that God had provided answers for me in this area in His Word until I came across the scripture in Exodus 23, which said that I would not miscarry or be barren. If I had not discovered this promise, I may have never known God’s will for my life. This scripture went straight to my heart and impacted me in a powerful way. I knew beyond doubt that it was the nature, character and will of God for me to have my own biological children! Through this scripture God showed me that our situation was not impossible. It revealed that an impossible situation for us was simply an opportunity for Him! I soon learnt to put my trust in what God said about me in His Word and not the words of the prognosis. God’s Word had been planted like a seed of faith in both Shaun’s and my heart. From that time on it was up to us to water, feed and nurture the seed so it could grow. By faith we believed together that Jesus would bring life to what our circumstances said were dead. When our doctor recommended more tests to find the cause of Shaun’s sterility, we decided to trust our judgment (we had prayed for wisdom) and chose not to follow through with the tests, but to trust solely in God’s Word. We continued to claim healing for Shaun’s body and thanked God for our child. During this time of growing in faith, our circumstances didn’t seem to change. However we supported each other in prayer, standing in agreement on God’s Word and speaking words of faith, not words of defeat. We chose to believe that what God said He would do He would actually do. And within six months, I became pregnant with our first child! When Shaun told our doctor the news, he wouldn’t believe it. He called Shaun into his office and after showing him again the results of the tests he said, ‘this is not your baby. It is impossible for you to father a child!’ Well, he was wrong! Nothing is impossible with God! My testimony didn’t end there. 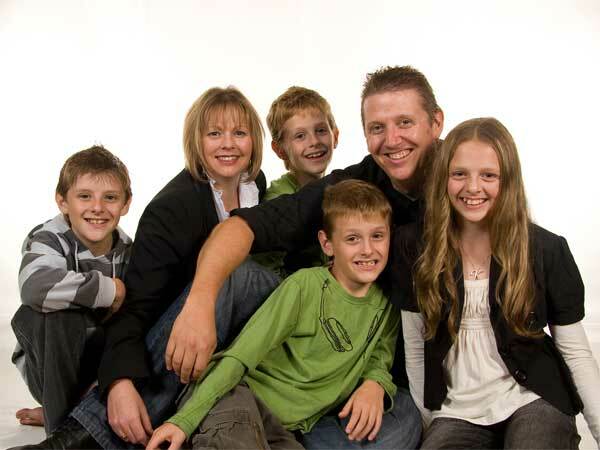 I also faced adverse circumstances such as threatened miscarriages, an ectopic pregnancy and the threat of Downs’ syndrome but by placing my trust in God and His Word, I had four healthy children within four and a half years! I also took the Word (like medicine) into my pregnancies, births and postnatal period and was able to rise above these and other complications and experience healthy pregnancies, childbirth without trauma, complications or excruciating pain and enjoy the blessing of bringing forth a new life as well as the whole childbearing experience. Hosea 4:6 says, ‘my people perish because of lack of knowledge.’ The main way we gain Godly knowledge for our life and also knowledge of God’s will for our life is through His Word. God is the creator of everything; He is also not a respecter of persons which means He doesn’t show favouritism (Romans 2:11). So anyone who believes can receive from God’s Word. Jesus said when you know the truth it will set you free (John 8:32). Through the work He did on the cross, you can overcome any problem of barrenness, fertility challenge or any other complication throughout your pregnancy and birth and, like me, learn to walk in a spirit of victory. Shaun and I use Scripture every time we pray now, because we have learned how powerful it is. My prayer is that as you develop your trust in God your relationship and understanding of Him will deepen. I also pray that you will receive revelation and knowledge from His Word regarding His plan for your children. However, do not simply read Scriptures but apply them to your life. Study, meditate and speak them over your circumstances to renew your mind because when you meditate on the promises of God, He will reveal his ‘good, pleasing and perfect will’ in your life (Romans 12:2). Gillian Shares her testimony how she overcame grief and sorrow after losing twins in the 2nd stage of pregnancy (after 7 years of infertility). Gillian not only overcame grief and sorrow but then overcame years of infertility and multiple losses. Gillian shares how she gained strength and revelation from God’s Word and how she applied it to her life to walk in victory over infertility and loss once and for all! Gillian shares her 10 year infertility journey and how she conceived her first child through IVF. Gillian only had one working ovary with no fallopian tube to that ovary. Gillian then shares how she conceived her second miracle baby supernaturally – in spite of these impossible circumstances. 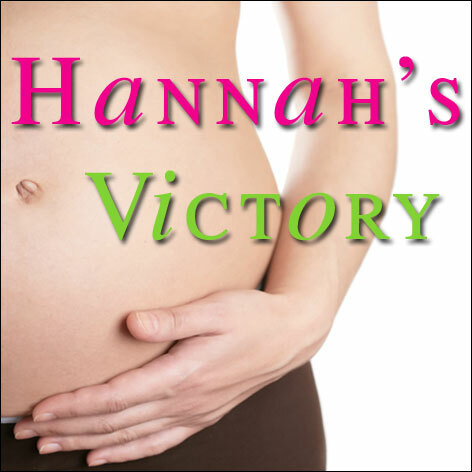 She also shares how she overcame miscarriage and premature labour.